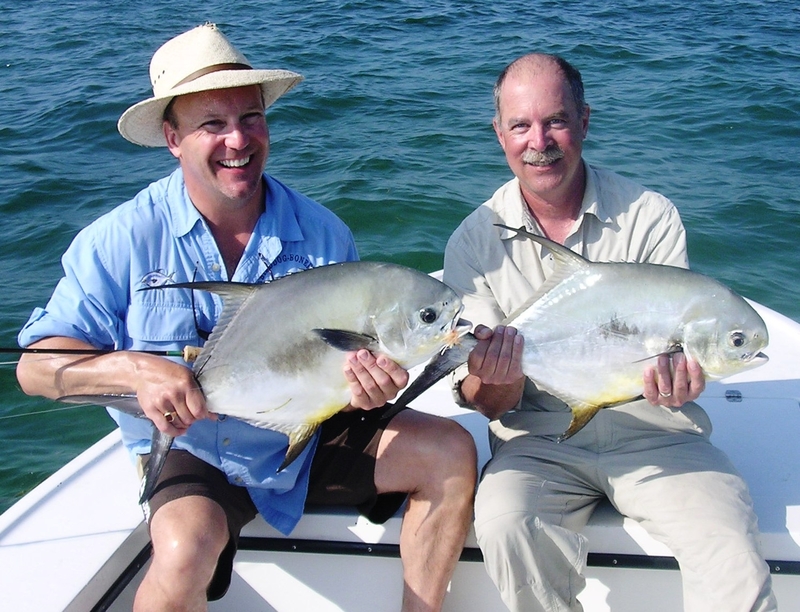 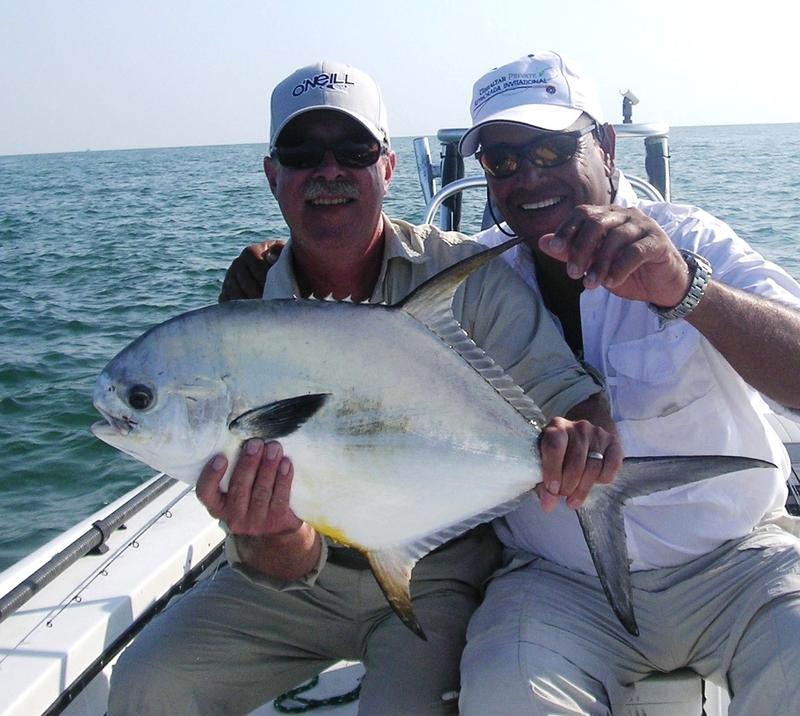 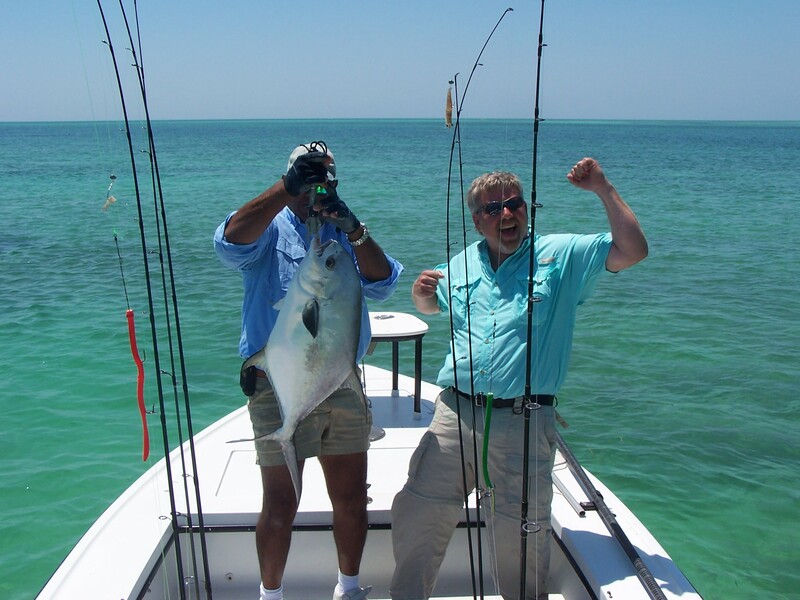 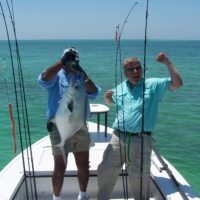 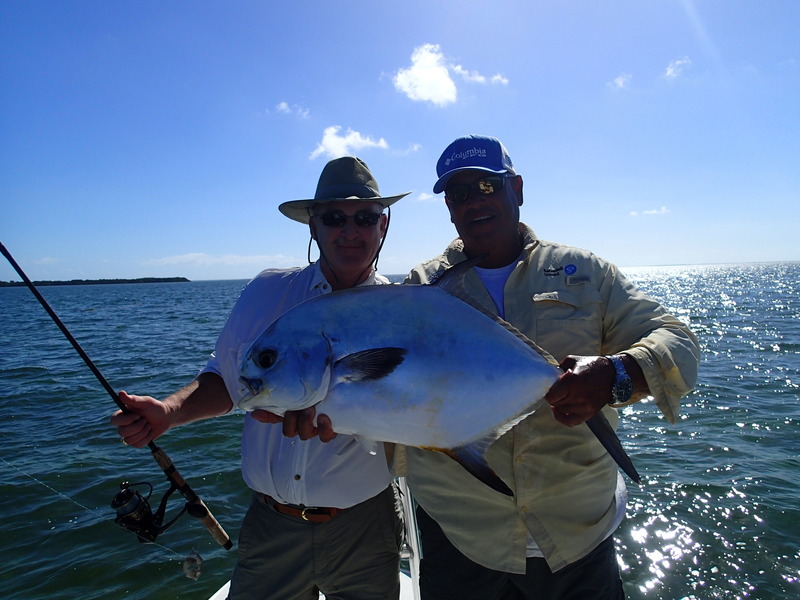 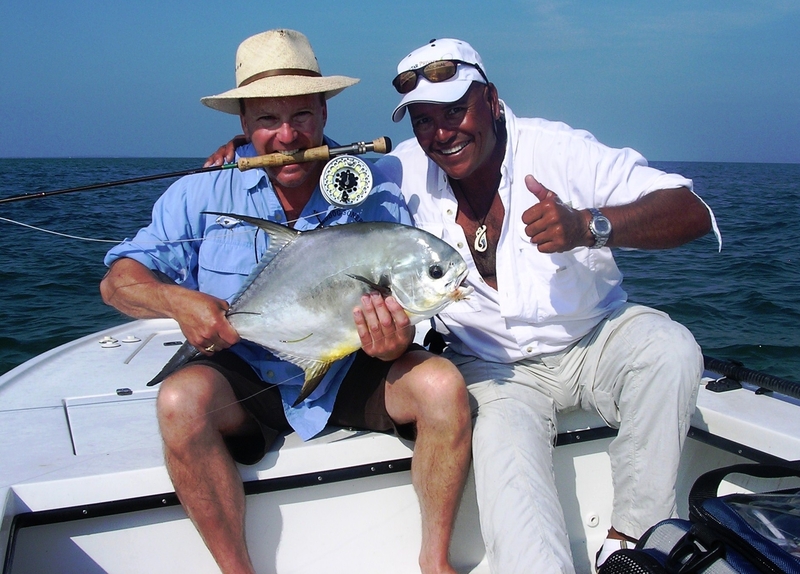 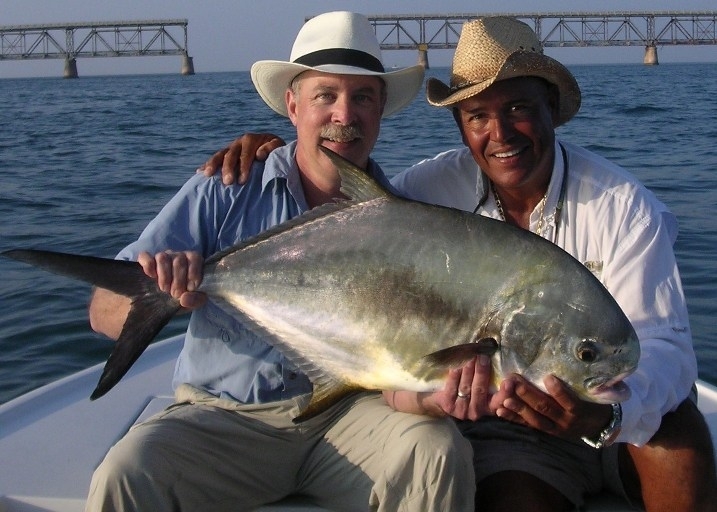 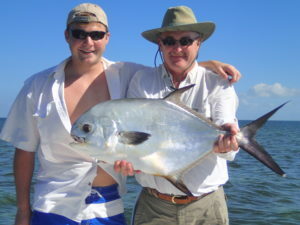 If you have never experienced the thrill of having a permit raise his tail out of the water in front of you as if he was waving hello to you and teasing you to cast a live crab, shrimp or fly to him, then you must give Captain Diego a call today. 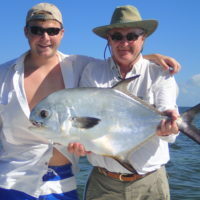 He can take you to the beautiful shallow flats and channels where these highly sought after ‘kings of the flats’ feed. 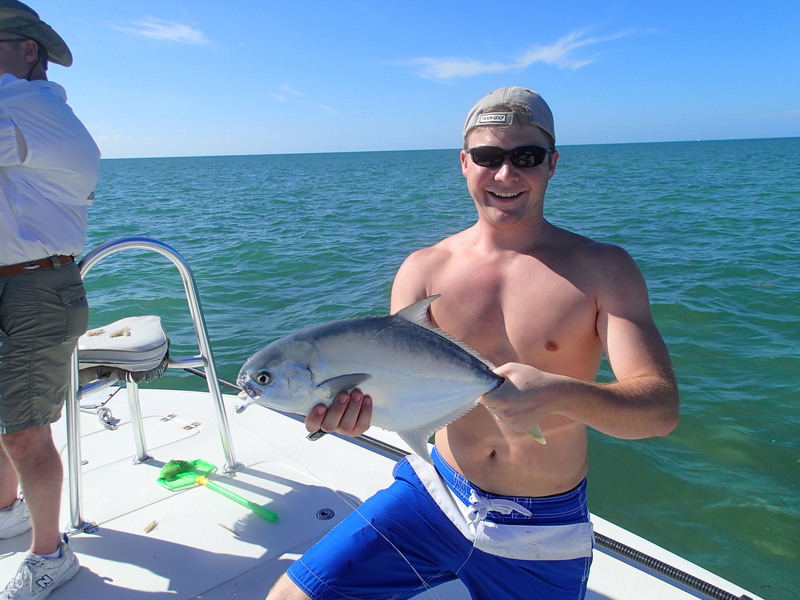 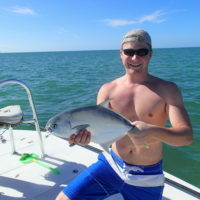 Permit are a warm water species that can be found in the sub-tropical warm waters of the Florida Keys and the Caribbean. 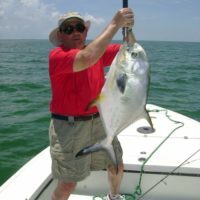 They can be found in large numbers around deep water wrecks as well as the clear shallow waters of the back country and ocean side flats that surround the islands of the Florida Keys. 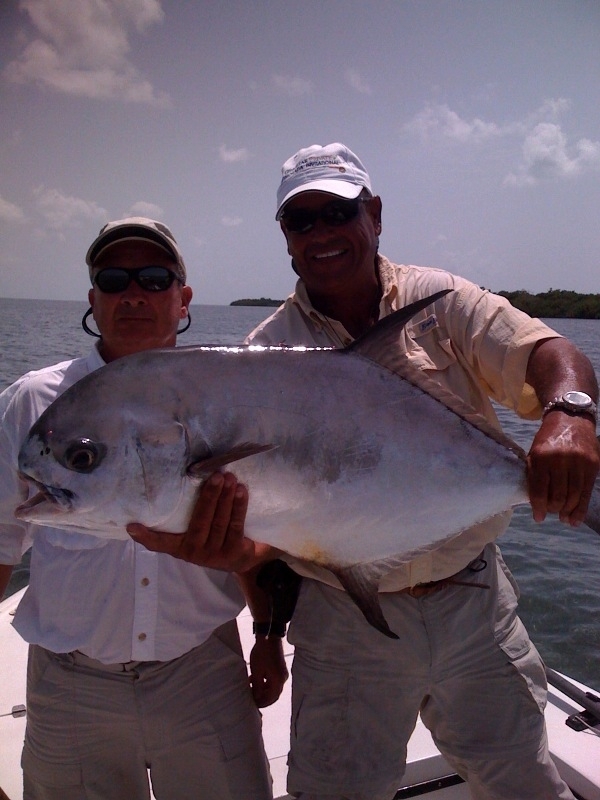 Captain Diego specializes in finding these elusive travelers of the flats. 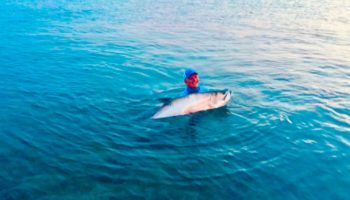 They feed on shrimp, small crabs, shellfish, urchins and many other forms of crustaceans and can be found either by themselves or in large schools in very shallow water or just floating near the surface in the surrounding deeper channels. 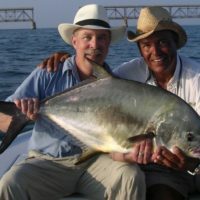 If you desire to do battle with a fish capable of spooling 200 yards of line off your reel to the point where you have to chase them with your motor in order to prevent being spooled by the awesome power of pure muscle, all you have to do is go in search of the elusive permit and you will make a memory of a life time with one of the greatest sport fish of the flats. 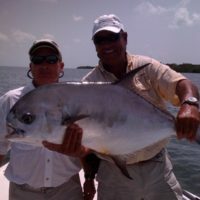 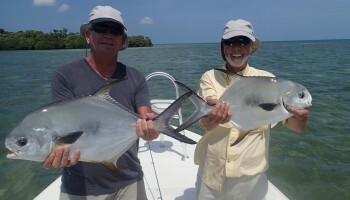 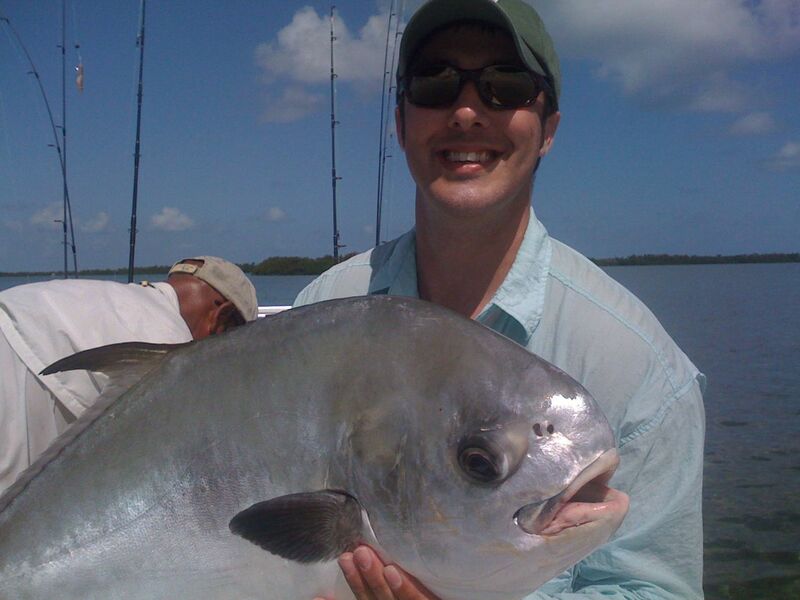 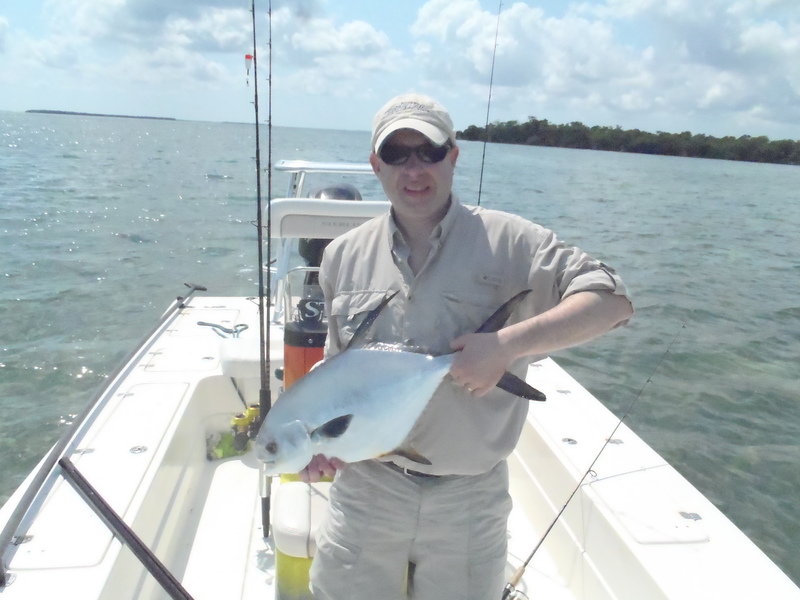 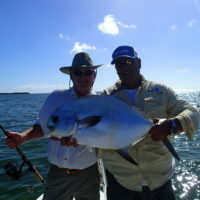 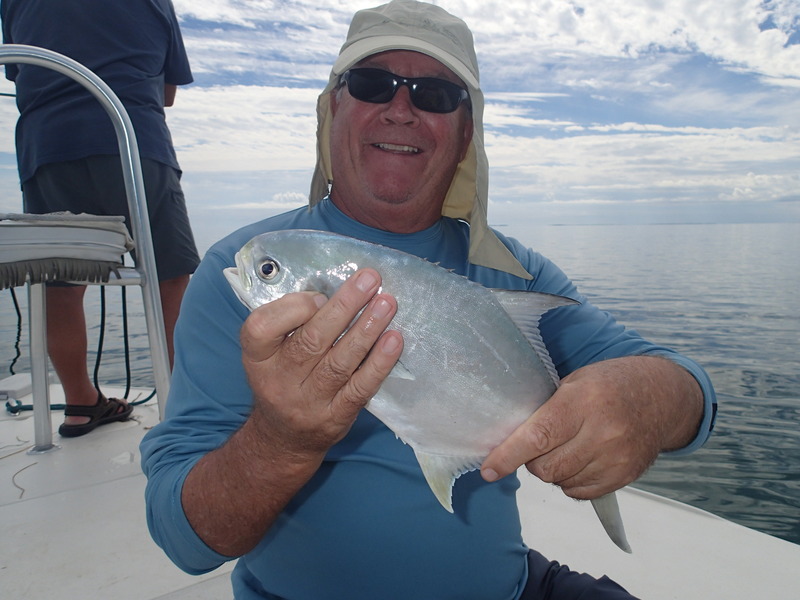 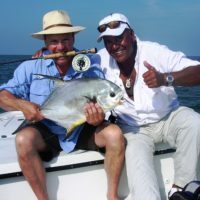 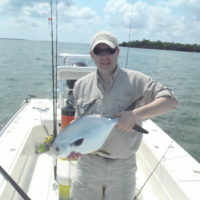 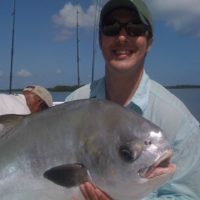 The permit is another prize flats fish, as with the bonefish the permit is also skittish and very wary. 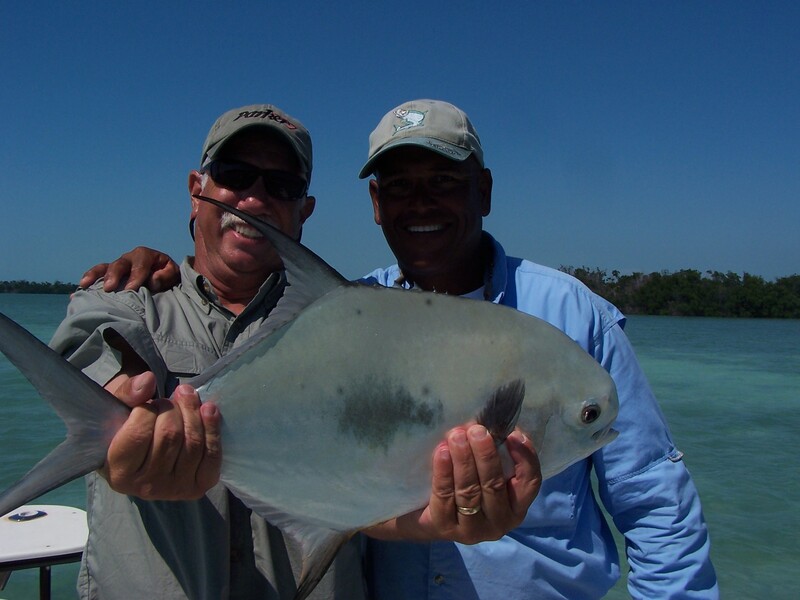 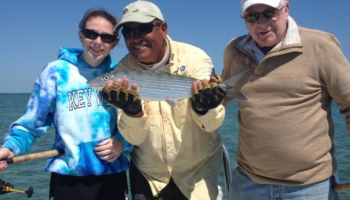 The permit tolerates warmer water than the bonefish, water in excess of 85 degrees, this opens up some of the warmer months of Summer for exciting fishing when the bonefish are in the deeper, cooler water. 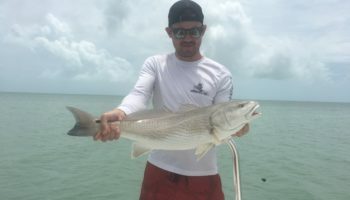 The same tidal characteristics are seen with the permit except that the permit are on the flats during the higher stages of the tide because the permit is a larger fish than the bonefish. 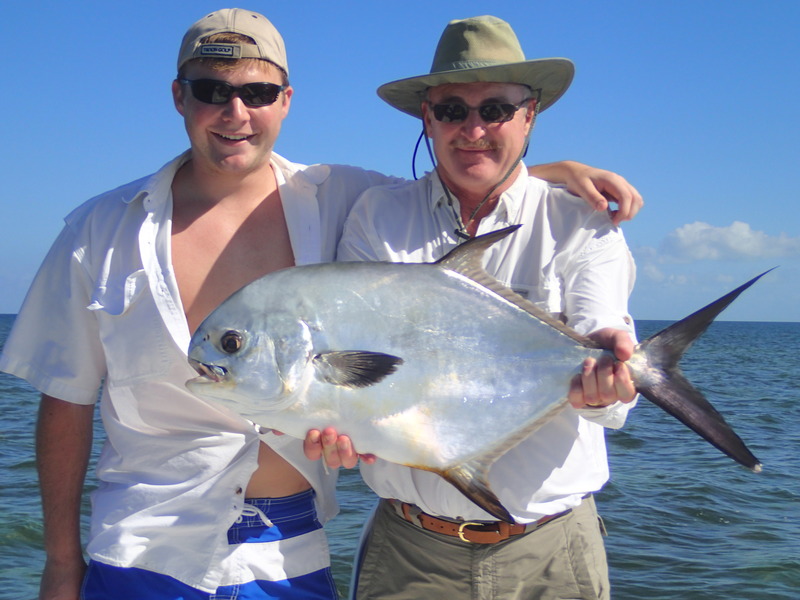 Permit range in size from 10 to 40 pounds. 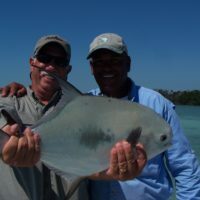 Permit just love live crabs, you cast a live crab into a school of permit and it doesn’t take very long for the crab to get gobbled up, as said best by Lefty Kreh, “it’s like rolling a wine bottle in a jail cell”. 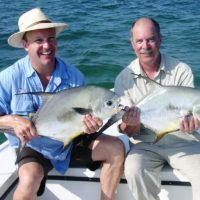 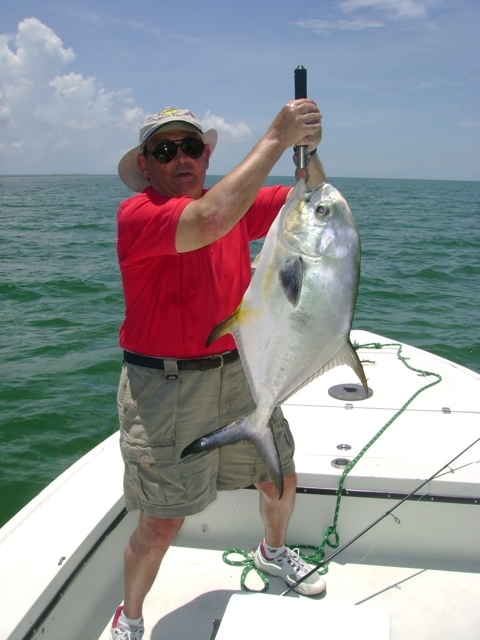 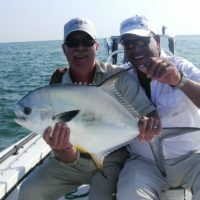 The peak seasons for permit are Spring and Fall, but I especially like the Spring, April and May and into the Summer, also September and October are good times of the year to fish for permit.